Fr. 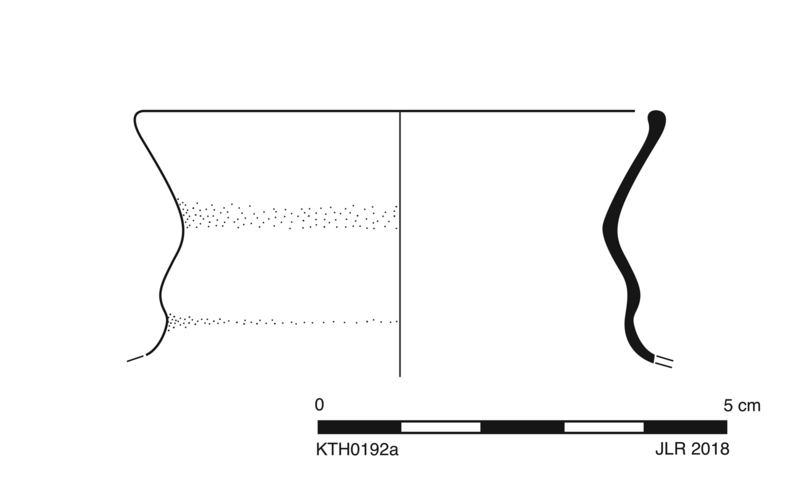 b: Thin-walled bowl or large cup. Convex body has narrow vertical grooves (0.007 m apart). Moldmade? max. p.dim. 0.028 m.
Fr. a: Greenish colorless (PMS 372C), transparent. Frequent pinprick and small, spherical bubbles. Fr. b: Colorless with tinge of blue, transparent. Very fine material with very few pinprick bubbles. Fr. 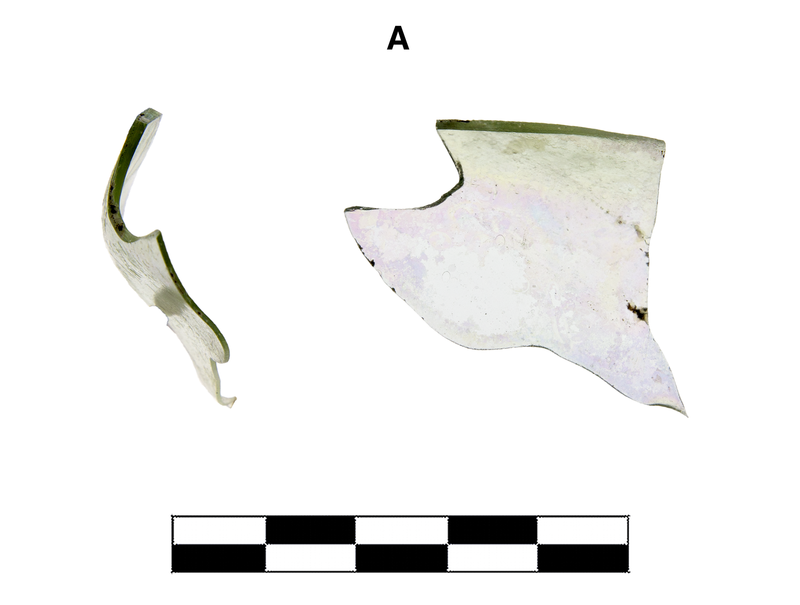 a: One fragment preserves small part of neck and rim. Slight, somewhat extensive patches of irredescence and crizzling. Fr. 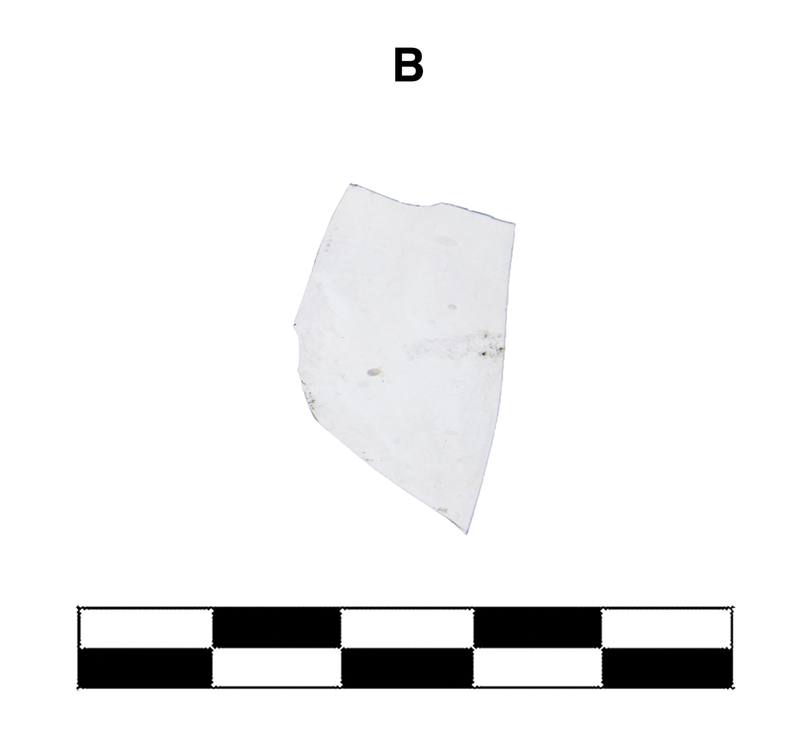 b: One small body sherd. Very slight abrasion and chipping.